Your one-stop shop for understanding composting & urine diverting toilets and nutrient reclamation. 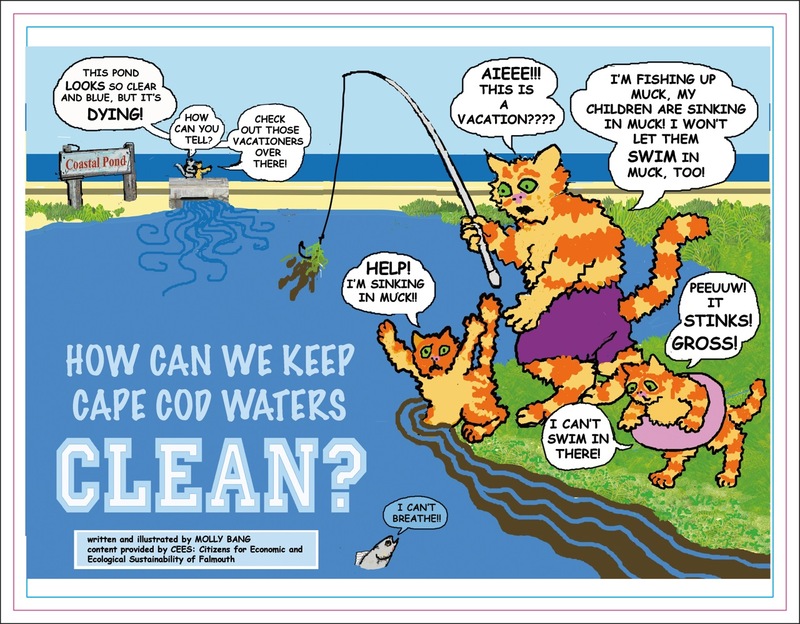 An easy-to-read, 8-page comic explaining Cape Cod's nutrient pollution problem and ways to stop it. Written and illustrated by award-winning children's book author Molly Bang. The Cape Cod Eco-Toilet Center is run by a 501(c)(3) non-profit, The Green Center Inc., an educational institute that evolved from The New Alchemy Institute. The volunteer-run organization supports projects that demonstrate ecologically derived forms of energy, agriculture, aquaculture, housing, and landscapes, and living in harmony with nature.